Hello friends! Today’s dessert recipe is pretty easy and so darn good! 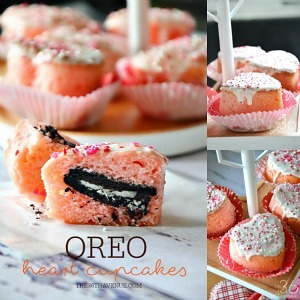 I thought it would be fun to make our Oreo Cupcakes in a heart shape since Valentine’s Day is near! These cupcakes are so easy to make and they are seriously yummy and adorable! 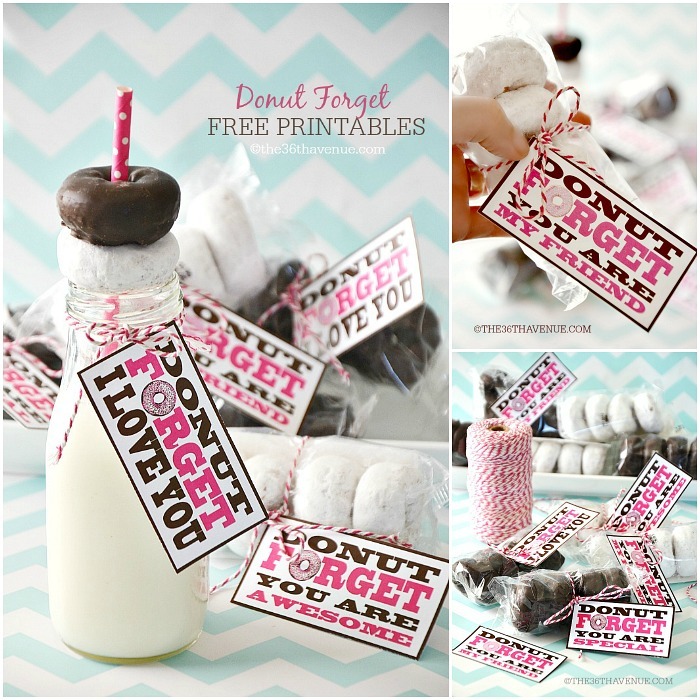 This is one of those treats that you can put together in less than 30 minutes and is perfect for birthday parties and holidays! To make these cupcakes you’ll need just a few ingredients. 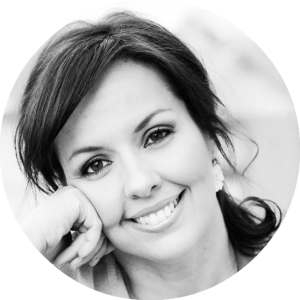 Here is a video… Make sure to like and feel free to share! 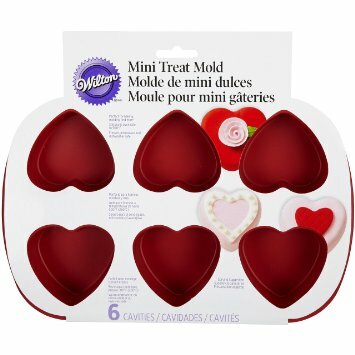 I love the heart cupcake mold that we used! In a medium size bowl combine cake mix powder, eggs, water, oil, and flour. Use a mixer to incorporate all the ingredients together. Add five to six drops of red food coloring to the mix and stir. Grease a cupcake pan and fill the cupcake molds ¼ of the way with the cake batter. Place one Oreo inside of each mold and gently push them into the batter just a bit. 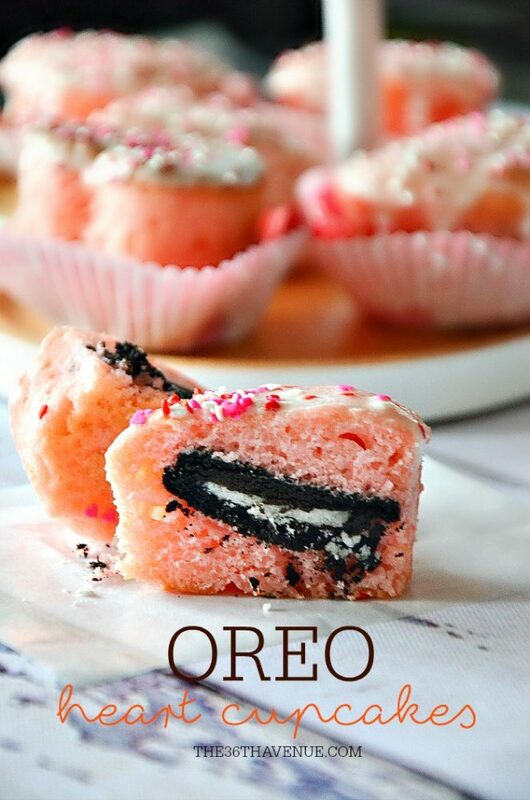 Cover the Oreos with more batter until ¾ of each cupcake mold is filled. Bake for about 15 minutes. Let them sit on a cooling rack until they cool down. Melt frosting in the microwave for about 30 seconds. Use a spoon to stir the melted frosting. Dip the top of each cupcake in the melted frosting and add the sprinkles right away. My kids love eating these cupcakes with cold milk and I love that I can make them in no time! Here are some other Valentine Recipes and Ideas that I love!